Interview by Nicole Gefvenberg, ICRP | The Sami is an indigenous Finno-Ugric community living in the area Sápmi, which encompasses four countries: Sweden, Norway, Finland and Russia. It is estimated that between 80,000–100,000 Sami live in Sápmi. 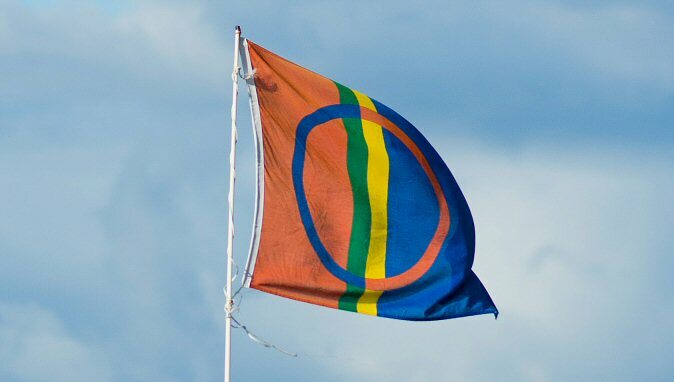 In 1977 the Swedish government recognised them as an indigenous population, and has since also passed laws allowing and supporting the Sami languages and way of life. The Sami are best known for their traditional reindeer herding livelihood, where reindeer herding districts cover about half of Sweden. What is the Sami Parliament? How does the Sami parliament work to promote Sami rights and Sami culture? Do the Sami face discrimination in Sweden? What is the legal situation of Sami rights as an indigenous people? How important are land rights, concerning the ability to lead a traditional way of life? Land rights are extremely important to the Sami working with reindeer. The reindeer needs vast areas for grazing and migration, since that is their natural way of life. The reindeer herders can spend a lot of time in the countryside, but the Sami are no longer nomads as they were before. We live in cities or in villages around the cities, with almost the same living standard as everyone else. What do you think is required by the Swedish state and the Swedish society to improve the Sami’s situation as a minority and protect Sami culture? An important claim is Sweden’s support for a truth and reconciliation commission. Support for a Nordic Sami convention so that the legislation in Sweden, Norway and Finland concerning the Sami would be harmonized. A kind of consultation order so that no state agency or even the Swedish parliament can make decisions that concern the Sami without having consulted them first. What is the relationship between the Sami and the United Nations, and is the UN and other international organisations able to help the Sami as an indigenous people? International organizations are important, especially the UN, to put pressure on Sweden on a national level. What is the importance of reindeer herding in Sami life? Is there any work being done to strengthen and develop this practise? Reindeer herding is important especially in the north of Sweden. The Sami parliament supports the reindeer herding business, and we are for example developing technical tools and computer programmes so that the reindeer herding districts are able to document and describe their land use, in order to defend their needs and take part in negotiations with mining companies, forest companies, municipalities etc. on equal terms. There are EU-programs within the rural program to support young reindeer herders to start their own reindeer herding companies. There are also programs to support the development of new meat products (köttförädling) and other products from nature (herbs, berries). Marie Enoksson is an informer of the Sami Parliament of Sweden, which is directly under the Swedish Ministry of Rural Affairs. As a sole informer of the authority, she has a broad area of responsibility. She is the web editor of the Sameting’s website. She is responsible for ads, printed matter and press releases. She receives study visits and hold talks about the Sami and the Sami Parliament. She has participated in several major projects about the Sami business community. Ms. Enoksson assists administrators and project managers with advice and help in the field of information. She is also the contact person for the Language Council.